As the Senate tax bill moves rapidly toward potential passage, one of the early objections being pushed aside by Republicans who want to “get to yes” is that the provision repealing the Obamacare insurance-purchasing mandate is damaging and is also irrelevant to “tax reform.” Now Senator Susan Collins is saying that the damage can be offset by passage (not in the tax bill, but in some separate legislative vehicle) of the Alexander-Murray “Obamacare stabilization” bill that’s been kicking around the Senate for weeks. And even more importantly, Donald J. Trump is telling Republican senators he’ll support Alexander-Murray after previously sending signals he opposed it. So everything’s okay on the Obamacare front, right? For one thing, Trump personally made the central provision of Alexander-Murray necessary in the first place by killing the cost-sharing reduction (CSR) payments to insurers that reimbursed them for legally required efforts to hold down out-of-pocket costs for low-income consumers in the individual market. This makes it hard to place much stock in secondhand accounts of his willingness to fix the problem. Why would Collins believe a promise from Trump? Are people really forgetting he was for Alexander-Murray before he was against it? That he called it a "bailout" of insurance companies like 1,000 times? Additionally, Paul Ryan has echoed Trump’s contemptuous rejection of Alexander-Murray. Is he onboard now? How about the House conservatives who call it a “bailout for insurance companies” or, worse yet, an effort to salvage the evil Obamacare? But there’s a bigger problem than the untrustworthiness of Trump and congressional Republicans on this subject: Passing Alexander-Murray will not reverse the damage to consumers that repealing the Obamacare mandate will inflict. That’s basically what the Congressional Budget Office told Patty Murray (clearly unhappy that her handiwork is being used to justify an Obamacare mandate repeal), who requested a clarification of the interaction of these two pieces of legislation. 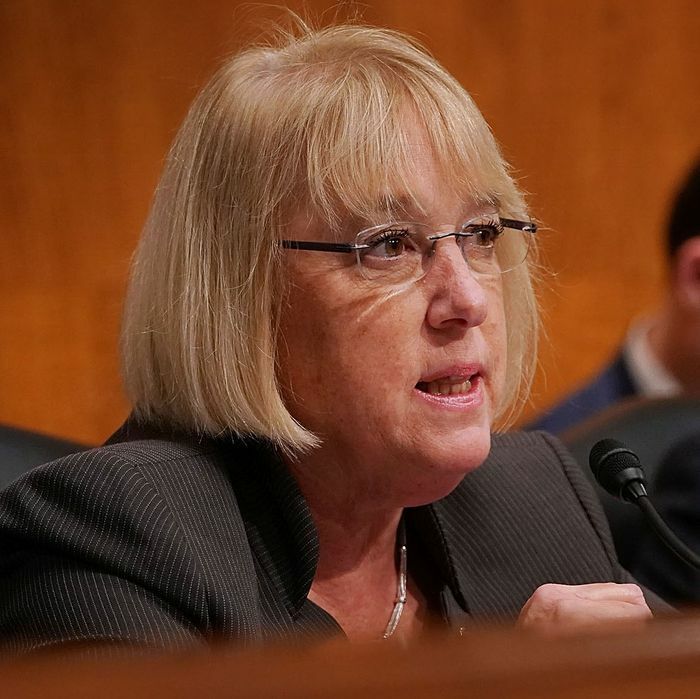 In a letter to Sen. Patty Murray (D-Wash.) on Wednesday, CBO Director Keith Hall wrote that the estimate of premiums rising 10 percent and 13 million fewer people with coverage over 10 years would remain roughly the same even if the bipartisan fix from Murray and Sen. Lamar Alexander (R-Tenn.) were added in. The reasons are pretty obvious when you think it through. For one thing, the CSR payments that Alexander-Murray would restore are part of CBO’s baseline assumptions, so the damage from repealing the mandate is calculated on top of that. For another, Alexander-Murray is aimed at a very different kind of Obamacare market disruption owing to cost shifts that losing CSR payments might cause. The disruption from mandates is different, in that it affects the basic competition of the risk pool, and is significantly greater. If legislation were enacted that incorporated both the provisions of the Bipartisan Health Care Stabilization Act [Alexander-Murray] and a repeal of the individual mandate, the agencies [CBO and the Joint Committee on Taxation] expect that the interactions among the provisions would be small; the effects on premiums and the number of people with health insurance coverage would be similar to those referenced above [the original estimate for repealing the mandate]. So this is a bit of a double scam. Not only are Senate Republicans accepting a pig in a poke with respect to future legislation that Trump is, not very reliably, promising to support … tomorrow. It’s a pig in a poke that wouldn’t solve the problems created by the Obamacare mandate repeal even if the promise were kept.